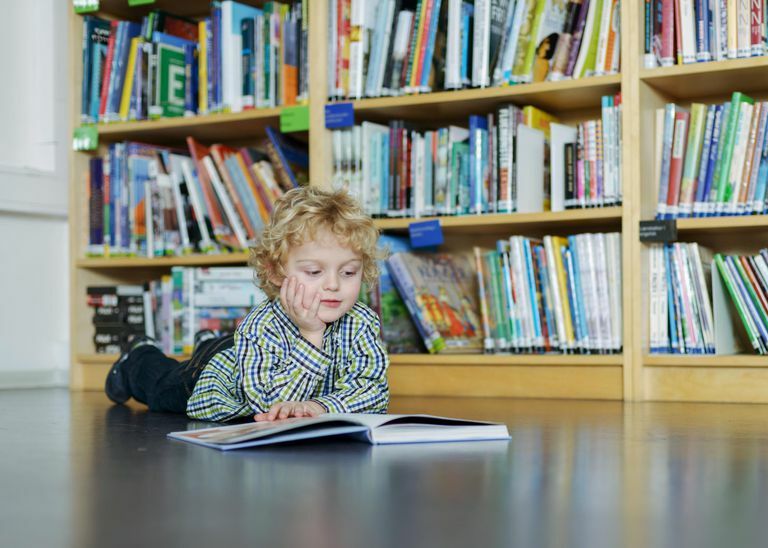 When you're trying to decide what books would be best to have on your child's bookshelf, it can be confusing to figure out what book level to purchase. His teacher reports he's reading a specific book level or letter, his report card says he's reading at or above grade level and all the testing the district has done reports he's at a certain lexile. Why is it so hard to make sense of it all? The reason so many parents end up baffled by leveled reading and book levels is that there are many different reading programs that teachers use to organize books. 1. Basal or Grade Level: When a teacher says your child is reading at, above or below grade level, she may be basing that on the basal reading system adopted by the school district. Educational publishers such as McGraw-Hill, Houghton Mifflin, and Scott Pearson publish a number of comprehensive basal reading programs that incorporate reading, vocabulary, spelling and writing into one system. The textbooks and accompanying workbooks are leveled by grade. 2. Fountas Pinnell Guided Reading Level: The guided reading approach to literacy is a widely used system. It was developed by Irene Fountas and Gay Su Pinnell and uses a detailed alphabetic system to rate books within a grade level. That means that your 1st grader isn't limited to only Grade 1 or Level 1 books; he has a whole range of variability therein. The Fountas and Pinnell Leveled Books Website has a database of nearly 20,000 leveled books from which to choose. A child's guided reading level is evaluated at the beginning of the program by using a book the child has never read before, called a benchmark book. The teacher will keep a Running Record of the mistakes he makes, ask some questions when he is done and calculate his level. A child should be able to read with about 95 percent oral accuracy and have a comprehension score of approximately 75 percent before he moves to the next level. 4. Lexile Framework: Your child's lexile measure is most likely to be the one you see in the testing information schools send to parents after yearly high-stakes testing has been completed and the results compiled. The lexile is determined after your child has taken a standardized reading test, the most common of which is the Scholastic Reading Inventory (SRI) test. Lexile measures range from 200 to 1700+ and can be used to pick challenging and appropriate books. 5. Accelerated Reader: The Accelerated Reader (or AR) program is slightly different from the other leveled reading programs in that it is a computer-based program. The Accelerated Reader software allows students to take quizzes about books they have read, either in a guided reading program or on their own and generates reports based on the results of the tests. Students may take the software-generated quiz or teachers may create their own questions. The program is sometimes criticized for not looking carefully enough at comprehension, as the Literacy quizzes don't often ask questions that require higher order thinking skills. The good news is that all these leveled reading systems and their scores can be converted amongst each other.